Thinking of delving more into the world of Christian Fiction? Wondering where to start? You could read and subscribe to blogs like this one for reviews. You could browse the best seller lists to see what’s been popular recently. And you could ask friends for their recommendations. Personally, I think those are all great options, and I highly recommend them. But there’s another option for finding good Christian fiction that I want to talk about today, and it’s a favorite of mine. Award winners. The beauty of seeking out award winners in Christian fiction is that the hard work of narrowing down the field to identify some of the best stories has already been done for you. Granted, you may not wind up loving every award winning title, because your tastes may differ from that of the judges. But then again, there had to have been something special about a book for it to rise above the other possibilities and catch the attention of the judges. So if you’re looking for something special, read on to find out about some of the top fiction awards in Christian publishing today, and to find out which novels have won those awards or been featured as finalists. The Christy Awards have been described as the “Oscars” of Christian fiction. They are annual awards to recognize Christian novels of excellence copyrighted in the preceding year in a variety of genres. The judges are drawn from among librarians, literary critics and others not directly affiliated with a publishing company, and the winners are announced at the annual International Christian Retail Show in June. I’ve personally found some great reads by browsing their lists of past winners. The official Christy Award Web site provides additional information about the awards including the origin of the name, as well as a list of past winners. The Carol Awards also aim to recognize some of the “best Christian fiction published by traditional publishing houses in the previous calendar year.” These awards are brought to you by ACFW (American Christian Fiction Writers), and the winners are announced at the annual ACFW Conference in September. These awards cover a wide range of genres and categories within Christian fiction. The ACFW Web site includes more information about the awards, as well as annual lists of winners from 2002 to the present. The Evangelical Christian Publishers Association, bestows the honor of the ECPA Christian Book Awards, formerly known as the Gold Medallion. Their awards cover a wide range of categories including Bibles, Non-fiction, Children’s Materials, and Inspiration. All genres of Fiction are considered in selecting the winner within the Fiction category. The Christian Book Awards Web page gives more information about the awards and links to past award winners. 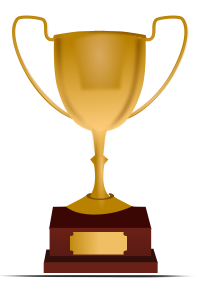 The RITA award is given by the Romance Writer’s Association (RWA) “to promote excellence in the romance genre by recognizing outstanding published romance novels and novellas.” This award has been given in a variety of categories since 1982, with the Inspirational category being introduced in 1995. The winners are announced at RWA’s annual conference in July. More information about the awards and a list of past winners is available on the RWA Web site. The INSPYs Web site describes the INSPY Awards as “The Bloggers’ Award for Excellence in Faith-Driven Literature.” These awards are judged by bloggers, and they invite nominations of faith inspired books in a variety of genres, not just from specific Christian publishers, but also from the general publishing market. Nominations begin in December and the winners are announced in June. This is a newer award, with winners from 2010, 2011, and 2013 thus far. Visit their Web site for more about the awards. The Grace Awards are a reader driven award for faith-based fiction. This award differs from others listed here in that it considers self-published books in print and/or electronic formats alongside traditionally published books. For more information or to browse award winners, visit the official Grace Awards blog. Did you find any of your favorite Christian fiction titles on these lists? Any titles you’re looking forward to reading? Leave a comment and let us know! And please take a second to connect with us on Facebook, Twitter, or by Subscribing to the blog so you won’t miss future posts. Note: This page was last updated on 1/15/2015. Karen, thank you very much for including the INSPY awards in this post. Appreciate you spreading the word. Rissi, thanks for stopping by and taking the time to comment. I love the concept behind the INSPYs.